Is it time to protect your equity gains? 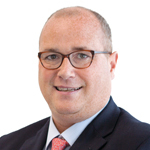 Paul Myles, Director, Institutional Business, BMO Global Asset Management. Many local authority pension funds will have benefited from significant growth in equity markets since their last actuarial valuation. With some market levels at, or close to, record highs, elected members and officers are asking if and how they can lock in some of these gains and partially protect their funding level ahead of their next round of funding valuation negotiations in 2019. As a consequence, in the last six months we have seen a number of local authority pension funds exploring ways of protecting their equity portfolios against significant falls in equity prices. In this article, we will explore what tools and strategies are available to protect the gains the LGPS have experienced in the equity markets. An increasingly popular strategy is to use options. These provide a predictable level of protection over a pre-determined period of time. However, as with all protection measures, options have a cost. In this piece we discuss how option strategies can be implemented in practice and, importantly, how much do they cost and do they represent good value for money? The combination of moderate economic growth, low and stable inflation and accommodative central bank policy has created the conditions for very strong equity performance across most major markets. Global equities have returned 86% over the last five years and have grown by over 16% in 2017 alone (as at 30 November). That said, there are a number of factors which could weigh on equity markets. In particular, geopolitical uncertainty remains high and central banks in the US and UK have begun to tighten monetary policy. Furthermore, some markets, including US equities – which can make up nearly 60% of a pension fund’s global equity portfolio if managed passively1 – are also beginning to look expensive. 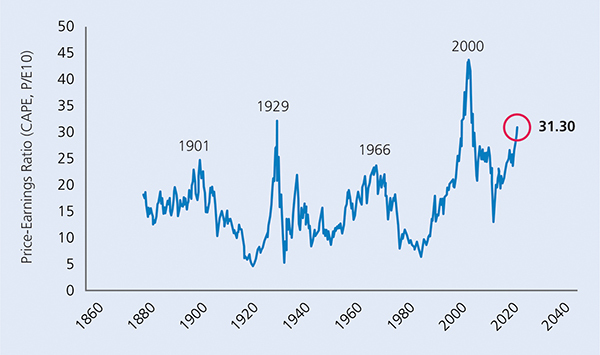 The current Shiller Price-Earnings Ratio (a commonly used measure of US equity valuations2) is currently at a level that has only been exceeded twice in the 100+ year history of the data set – in 2000 during the height of the tech bubble and prior to the Wall Street crash of 1929. In light of these considerations, an increasing number of pension funds are looking at ways of protecting the gains they have experienced. Whilst this can be achieved by selling equities, if the pension fund requires a long-term equity holding to fulfil its required return objective, this may not be desirable. An options-based strategy can be an attractive alternative way to manage the risk of large losses. A put option is a derivative contract which can be bought to provide a predictable level of protection over a pre-determined period of time. Specifically, an option is a contract which offers the buyer the right, but not the obligation, to buy (call option) or sell (put option) at an agreed-upon price (the strike price) on a specific date (exercise date). With a put option, if the price3 of the underlying assets falls below the strike price, then, on the exercise date, the option holder could theoretically buy the underlying assets and then immediately sell them at the (higher) strike price for a profit4. If the price of the underlying assets does not fall below the strike price, then the option holder would not exercise the option (as doing so would mean making a loss) and it would expire worthless. In both cases the option holder will have paid a fee (premium) for the option. An option can be bought on an individual share or on the value of an index. When constructing an option strategy for a global equity portfolio, an option based on a basket of individual country indices like the FTSE 100 for UK equities and the S&P500 for US equities, rather than a single global index, is usually the most cost-effective option. For illustration, the payoff of a put option, with a 90% strike on an equity index is shown in Figure 3. If the value of the underlying price index at the end of the contract is less than 90% of the value at the start of the contract, then the pension fund would receive the difference between 90% and this value. This would then offset any price losses of more than 10% on the underlying equities held by the pension fund. 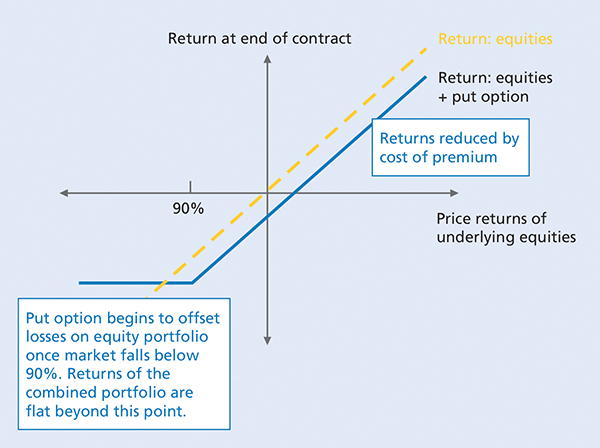 If the value of the price index at the end of the contract is greater than 90% of the starting value, then the option would not have any value. In both cases the pension fund would pay a premium in exchange for the protection. One popular strategy used by pension funds is to purchase put options that expire on or after the next actuarial valuation date. This then partially protects the funding level against equity losses leading up to that date. Indeed, a number of the local authority pension fund options strategies we have seen in the last few months have been designed to protect funding levels ahead of the 2019 valuation negotiations. Another benefit of options strategies is that there is no need to sell the pension fund’s existing equity holdings. This enables the fund to continue to benefit from potential equity gains, albeit the benefit is partially offset by the cost of buying the options. Do options represent good value for money? Figure 4 shows the cost (premium) for a range of one-year put options on US equities and UK equities as at 30 November 2017. For example, the cost of protecting against price falls of more than 10% on US equities was 2.8% of the amount protected as at 30 November 2017. When assessing the cost and the amount of protection to buy it can be helpful to consider the past distribution of returns. Figure 5 shows the annual price returns of US equities and UK equities, grouped into 10% buckets. Each bar shows the percentage of outcomes in each bucket. So, for example, US equities have lost between 10% and 20% in around 10% of the periods recorded and more than 10% in total in 18% of the periods recorded (sum of the five bars on the left). This past performance should not be used as an indicator of future performance. Putting this information together with the premium data above, we can say that pension funds can protect against losses of 10% or more, which have happened around one year in five, by paying a premium of 2.8%5. Past performance should not be used as a indicator of future performance. Source: Bloomberg, as at 30 November 2017. S&P 500 (1928 to 2017) and FTSE 100 (1984 to 2017) price returns. Rolling annual price returns based on monthly index data. Another factor in assessing value for money is how the current cost of options compares to historic costs. 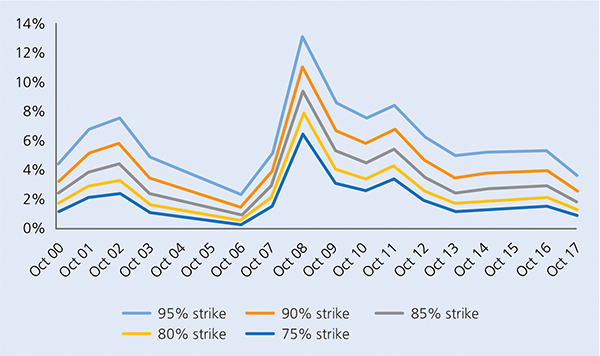 Figure 6 shows the historic levels of the cost of put options on US equities at a range of different protection levels (strikes). This data suggests that put options are relatively cheap by historic standards. This largely reflects the low level of volatility in equity markets at present – lower volatility generally reduces the cost of options6. Source: BMO Global Asset Management, Bloomberg as at 31 October 2017. Past performance should not be used as an indication of future performance. These calculations are based on an analysis of past market data with the benefit of hindsight. It allows for estimated premium spend and transaction costs for the options strategies, but does not reflect the deductions of fees, commissions or any other expenses a client would have to pay. Actual results may differ significantly from those presented. One example is a “put spread” strategy. This means buying a put option and selling another put option at a lower strike. As an example, with a 90%/60% “put spread” the pension fund would be protected against price falls between 10% and 40%, but would participate in falls up to 10% and greater than 40%. So, if the market falls by 30% the fund would experience the loss of the initial 10% but be protected for the subsequent 20% fall. If the market fell 50% the fund would experience the initial 10% fall as well as the move between 40% and 50%, but be protected as the market fell between 10% and 40%. The premium for a 12-month S&P500 90%/60% put spread as at 30 November 2017 was 2.5%, compared to 2.8% for a 90% put option. An alternative approach is to sell away equity gains above a certain level. The premium earned can then be used to partially or fully fund the cost of protection – a so-called collar approach. This is achieved by selling a call option as well as buying a put option. As an example, if a pension fund sells a one-year 110% call option on the S&P500 and the US equity market rises by 15% over the course of the year, the final 5% of gains would be paid away to the buyer of the call option. In exchange the pension fund would receive a premium of around 1% (as at 30 November 2017), which can be used to partially fund the cost of buying a put option for downside protection. The pension fund would participate in any price gains up to 10%. It would also collect the dividends on the underlying equities it holds. The call option can also be combined with the put spread strategy described above to create what is known as a put spread collar. In this instance, both the sale of the call option and the sale of the put option at the lower strike help to fund the purchase of the initial put option. Options can be held in a client’s custodian account (i.e. a segregated portfolio or separate account) or in a bespoke fund (a fund set up for the exclusive use of a single investor), so pension funds with either of these in place already will have a head start on implementation. Beyond this, the most onerous part of the implementation is usually setting up the special derivatives documentation required to trade options. 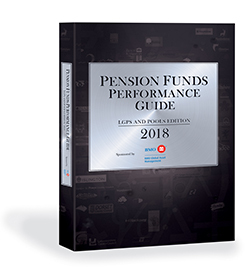 However, pension funds can and should simplify the process significantly by using pre-agreed templates – known as agency documents – to leverage their asset manager’s relationships with potential options counterparties, and speed up implementation. It is worth noting that speed of implementation is important. This is because, having made the strategic decision to reduce downside risk, the pension fund will want to minimise the risk of missing out on the protection if the market falls significantly before the strategy is implemented. For this reason, we generally recommend that clients focus on the big picture design of the strategy, with the more detailed implementation points delegating to the asset manager or the pension fund’s advisers. It is also possible to stagger the implementation of the option strategy. This helps to reduce the market timing risk around both the start date of the option and the expiry date. With equity markets at or near to record levels, many pension funds are beginning to explore ways of locking in gains and partially protecting their funding level against a possible market correction. Options can be a cost-effective way of achieving this protection and are currently attractively priced compared to historic levels. It is important to remember that past performance should not be seen as an indication of future performance. The value of investments and income derived from them can go down as well as up as a result of market or currency movements and investors may not get back the original amount invested. Views and opinions expressed by individual authors do not necessarily represent those of BMO Global Asset Management. © 2018 BMO Global Asset Management. All rights reserved. BMO Global Asset Management is a trading name of F&C Management Limited, which is authorised and regulated by the Financial Conduct Authority. CM15278 (01/18) UK. 1. 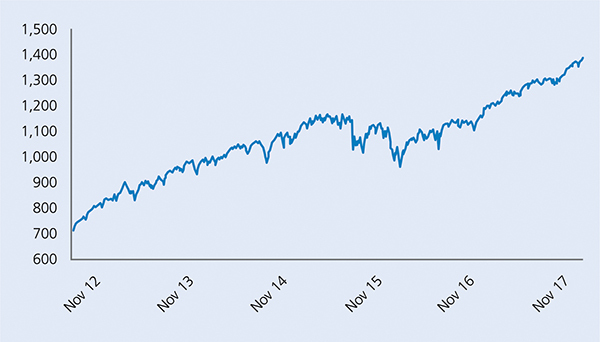 As of 31 October 2017, US equities made up 59% of the MSCI World Index – a common benchmark for global equity portfolios. 2. Price-Earnings (P-E) ratio: A measures of the share price of a company relative to its profits. The Shiller P-E ratio is an aggregate for the US equity market. It uses the average of the last 10-years’profits and adjusts these for inflation. Although the P-E ratio will depend on a range of different factors, it is often used by investors to help assess whether a company or market is expensive or cheap. 3. Note that options’ values are based on price returns rather than total returns. It is, however, possible to adjust the strike of the options purchased to give protection that relates to total returns more closely. 4. In practice the cash value of the option is exchanged, rather than equities actually being bought and sold. 5. This ignores current market conditions. The current probability of losing more than 10% may be higher or lower depending on current market views. 6. Volatility generally increases the cost of an option as the more volatile the market, the more likely an option will finish in profit.